After traveling for both work and pleasure 12 out of the last 15 days, I decided that my kitchen needed to be used for more than just storage space (imagine 12 days of newspapers stacked up on the counter and suitcases on the floor). 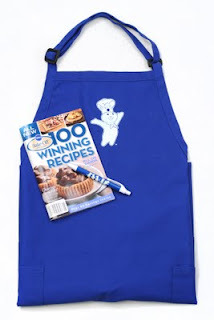 I had the perfect excuse because weeks ago I received a cool package in the mail from Pillsbury, which included a cookbook with 100 of their winning Bake-Off recipes! Have you heard of the Pillsbury Bake-Off? Well, it's in its 45th year and is currently open for entries (until April 18) of original recipes that taste and look delicious, are easy to make and that your family will love to eat. There's even more than one category to enter, including: Breakfast and Brunches; Entertaining Appetizers; Dinner Made Easy; and Sweet Treats (my fav). Entries are being accepted online between now and April 18, 2011, at http://www.bakeoff.com/. Find all the details and more at the web site! Now back to my kitchen...I flipped through the cookbook and found MANY recipes that I was interested in making. Unfortunately, my pantry was not fully stocked (and I was NOT going to the store) so I earmarked several recipes for another day and turned to my gal pal over at Going Jane for a quick and easy recipe using the Pillsbury products in my fridge/pantry. I had some pepperoni leftover from a recent girls weekend and a tube of Pillsbury pizza crust in the fridge so I decided to make some Pepperoni Pinwheels! After devouring half a cookie sheet worth of these, I was in Pillsbury bliss! Check out her recipe here. Keeping with the theme of quick and easy recipes, I was called upon to whip up a dessert for Sunday family lunch at the cabin while my dad and brothers-in-law built a dock on the family pond. Add to that a tub of Pillsbury Milk Chocolate Whipped frosting and this is the result. I just ran the Oreos through my mini-food processor and added 3/4 cup to the batter and baked as directed. Once the brownies were cooled, I frosted them and sprinkled the remaining Oreos on top. 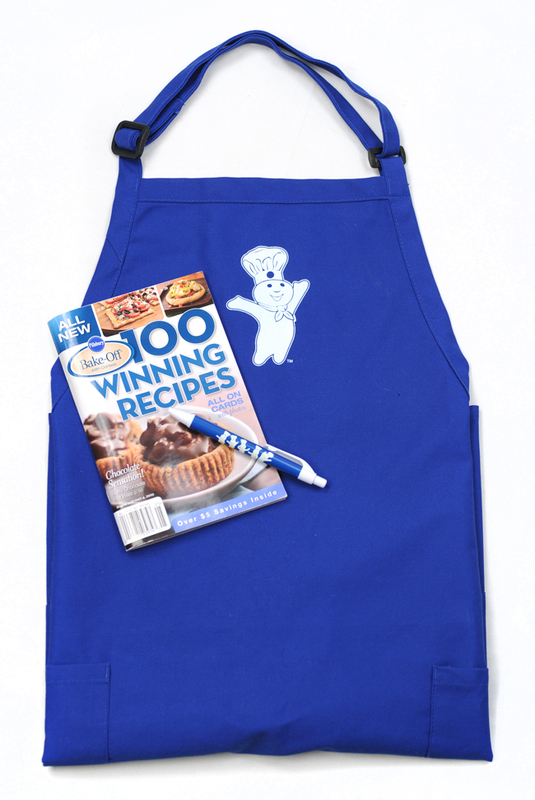 Do you have a favorite recipe from the Pillsbury Bake-Off? Do you have a recipe you think could compete in the Bake-Off? Do you want to win the cool prize package I mentioned at the beginning of this post? Just comment on this post and let me know your favorite recipe that uses a Pillsbury product and you'll be entered. In honor of the April 18 deadline to submit Bake-Off recipes, I'll close the giveaway at midnight EST on Monday, April 18 and announce the winner the next day! I love using the pie crust for everything including turket pot pie!! Um, everything! I like the cin rolls just like they are, but I have a fabulous cherry danish recipe that uses Pillsbury Crescents as the crust..oh, oh, oh...and the chocolate chip cookie dough cheesecake on my site using the holiday cookies!! I use the Pillsbury Pie Crust for quiche & the crescent rolls for casseroles, desserts & just to bake with butter & herbs. I love thier chicken pot pie recipe. The crescent rolls are my favorite...I make cream cheese chicken rolls with 'em. I love anything with oreos in it!!!! !